Sony has released a custom-edition of its PlayStation 4 Pro to celebrate the launch of its new Spider-Man game. 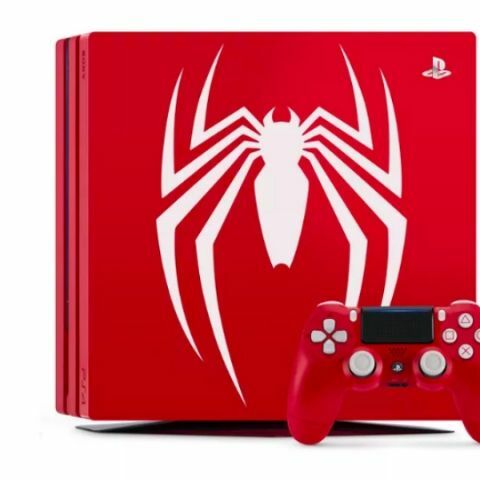 As one would expect from a console based on the web-slinger, it is bright red with a prominent Spider-Man logo on top of the console. The console also come with a matching DualShock controller that is also red with white buttons. The new console is called the Amazing Red PlayStation 4 Pro and it will be available as part of a bundle that also packs a physical copy of the game as well as vouchers for the DLC. The bundle is available for pre-order at $399.99, which roughly equates to Rs 27,400. However, Sony has not yet announced if it plans to launch the console in India. So there is a possibility that Spider-Man fans in India may be disappointed. The new Spider-Man game is scheduled to release on September 7 and will be exclusive to Sony’s PlayStation console. Sony also showcased a demo of the game at E3 this year. The demo showed the wall-crawler taking on villains like the The Shocker, the Vulture, Rhino and Scorpion. The latest Spider-Man game trailer released at Comic-Con also confirms Silver Sable as a villain. Sony also showcased a bunch of other games that it plans on releasing over the course of a few years. This includes The Last of Us Part II, Death Stranding, The Ghost of Tsushima and more. Click here to read our round up of everything Sony announced at the event. Microsoft also had a pretty big E3 conference this year. The company unveiled a number of upcoming games for its Xbox One console. This included Halo Infinite, Gears 5, Ori and the Will of the Wisps, Crackdown 3 and more. You can check out our roundup of Microsoft’s press conference here.